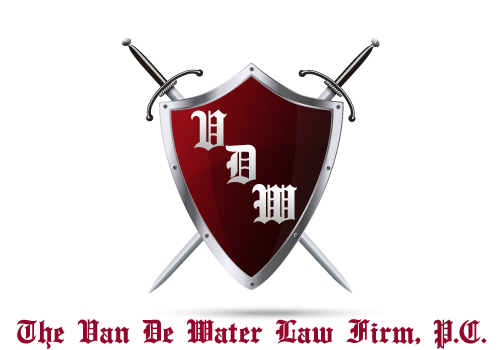 THE VAN DE WATER LAW FIRM, P.C. In 2018, both New York State and New York City have enacted the strictest harassment training laws in the Nation as a clear outgrowth of the #MeToo movement that swept the country following the Harvey Weinstein scandal. All Employers must begin compliance with the New York State Law commencing on October 1, 2019, and the New York City Law on April 1, 2019. On April 12, 2018 New York Governor Andrew Cuomo signed into law several bills that were included in the 2018-2019 New York State budget. The bills address workplace sexual harassment. Part KK of S7507-C 0g the new law requires New York employers to adopt and distribute a sexual harassment policy and training program. The new requirements take effect October 9, 2018.
clearly states retaliation against individuals who complain of sexual harassment or who testify or assist in any proceedings is unlawful. This sexual harassment policy must then be provided to all of your employees in writing. It would be advisable to include this policy in your orientation package. You should should informally and formally routinely remind employees of this policy. 4) information concerning employees’ rights of redress and forums forcomplaints. Although there is no record keeping requirement under the law, I strongly advise your company to formally track, in a signed form, your employees’ attendance at the training. This type of evidence is helpful in defending against potential allegations of sexual harassment, and will serve to mitigate your risk against frivilous lawsuits. The law also requires the New York State Department of Labor (DOL) and the New York State Division of Human Rights (DHR) to develop a model policy and training program for employers. The Stop Sexual Harassment in New York City Act was signed into law by Mayor Bill de Blasio on May 9, 2018 and expands the reach of the New York City Human Rights Law in cases involving gender-based harassment. 3) mandating employers with 15 or more employees to conduct annual anti- sexual harassment training to all employees, including managers and supervisors. 8) identify the specific responsibilities that supervisors and managerial employees have in the prevention of sexual harassment and retaliation. 9) keep employee’s training acknowledgment forms for three years. The New York City training requirements begin on April 1, 2019. The training must be provided annually and, in the case of a new employee hire, within 90 days thereof. Starting September 6, 2018, all New York City employers are required to post a sexual harassment poster and distribute a sexual harassment fact sheet to all new employees. Additionally, under the New York City Law, employers are required to keep training acknowledgment forms for 3 years.